Hepatitis E is a disease that affects the liver of a person and is caused by a small virus called HEV or hepatitis E virus. Found worldwide, Hepatitis E is most common in East and South Asia. The hepatitis E virus is transmitted mainly through contamination of drinking water by stools of infected persons, therefore, people with poor sanitation are at higher risk for the disease. Due to poor sanitation the hepatitis E virus from stools of infected people often contaminates drinking water or enters the food chain. While the disease is self-limiting, a large number of people with supressed immune system need some sort of medical assistance. As there is no proper treatment available for the disease, the primary focus stays on the prevention of hepatitis E infection and the measure that can help with it. Here is everything you may need to know about hepatitis E infection including the ways of transmission, symptoms and hepatitis E treatment and prevention. The most common routes of hepatitis E transmission include drinking contaminated water, eating undercooked meat products from infected animals, from infected blood after transfusion, or from a mother to her child. While the infection usually self-resolves within few weeks, there are more than 50000 hepatitis E related deaths every year worldwide. Hepatitis E is most common in countries where people have limited access to sanitation, hygiene, health services and clean drinking water. The spread of the disease is less frequent in regions with proper sanitation and clean drinking water. Once a person is infected with the hepatitis E virus, it takes an average of 5-6 weeks to develop hepatitis E. Within another 3-4 weeks the infected person may start excreting the virus through stool. The symptoms of hepatitis E are usually less visible in children and significantly visible in adults aged between 15 to 40 years. Typical signs and symptoms of hepatitis E include mild fever, loss of appetite, nausea and vomiting, abdominal pain, itching, skin rash. During later stages of hepatitis E infection, a person may develop more significant symptoms such as jaundice with dark urine, pale stools, and a slightly enlarged, tender liver. Most of the symptoms typically last only 2-6 weeks and are similar to those experienced during other liver illnesses. In some rare cases, the infection can grow acute, resulting in fulminant hepatitis and may even lead to death by acute liver failure. Pregnant women are more at risk of hepatitis E turning acute. Infected women in the second or third trimester of pregnancy are at an increased risk of acute liver failure, foetal loss and mortality. Since the cases of hepatitis E infection are clinically non-distinguishable from other types of acute viral hepatitis, the diagnosis is usually suspected in epidemiologic settings including the occurrence of several cases in localities, or in regions with risk of water contamination, if the disease is more severe in pregnant women, or if the possibility of hepatitis A has already been excluded. A definitive diagnosis of hepatitis E infection is usually based on the detection of specific IgM antibodies to the virus in a person’s blood. Additional diagnosis includes detection of hepatitis E virus RNA in blood or stool, especially in areas where hepatitis E is infrequent. A test for viral antigen detection in serum has been developed and its role in diagnosis of hepatitis E is under study. 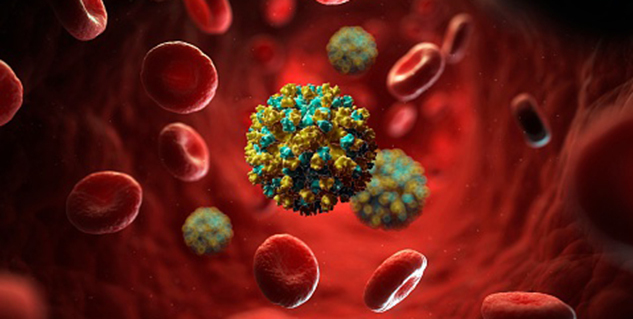 As hepatitis E infection is usually self-limiting, hospitalization is generally not required. Moreover, there is no specific treatment available that can alter the course of acute hepatitis E. Hospitalization is usually required only for people with fulminant hepatitis or for symptomatic pregnant women. People with chronic hepatitis E and poor immune response are recommended specific treatment using antiviral drug ribavirin. Since there is no treatment available for the disease, prevention is the most effective approach against it. Transmission of HEV and hepatitis E disease can be prevented by maintaining quality standards for public water supplies, establishing proper hygiene and sanitation. Individually a person can reduce the risk of hepatitis E infection by maintaining hygienic practices such as hand-washing with safe water, particularly before touching or eating food, and by avoiding consumption of impure water. Science and Technology, following a controlled trial on 100,000+ people each from Jiangsu Province. The trials were successful and none of the vaccinated people got infected during the next year as compared to 15 in the group given placebo treatment. In order to prevent hepatitis E infections at population levels people should have access to clean drinking water and proper sanitation system. If there is an outbreak of hepatitis E in a region, people can reduce the risk of infection by maintain household hygiene and avoiding use of water from open sources where faecal waste may have contaminated the water. It is also recommended to boil water before consumption. People should also ensure that their food, especially that include meat or meat based products, is always properly cooked. Undercooked food may allow hepatitis E virus to enter and infect a person. What is the prognosis of Cheilosis?